DIY and Enjoy your personal facial masks with no preservatives, no lead, no mercury or other irritating substances. No chemicals, more safer and healthier mask as you need. 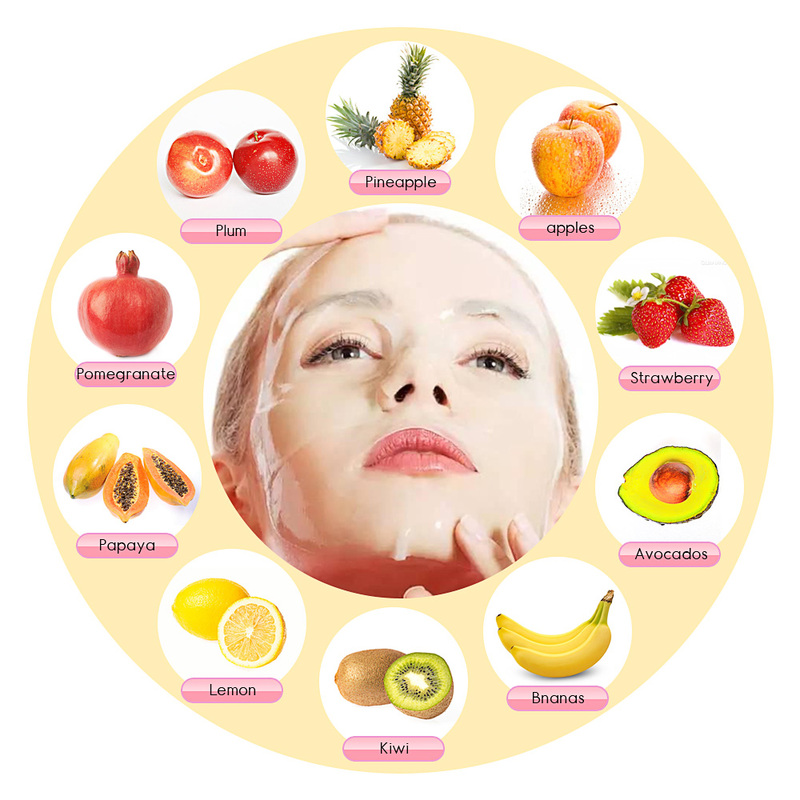 Having fun in making the fruit or vegetables facial mask by yourself at home, add it to your spa day to get the best effect of skin care, skin tightening and its elastic recovering for your beauty. 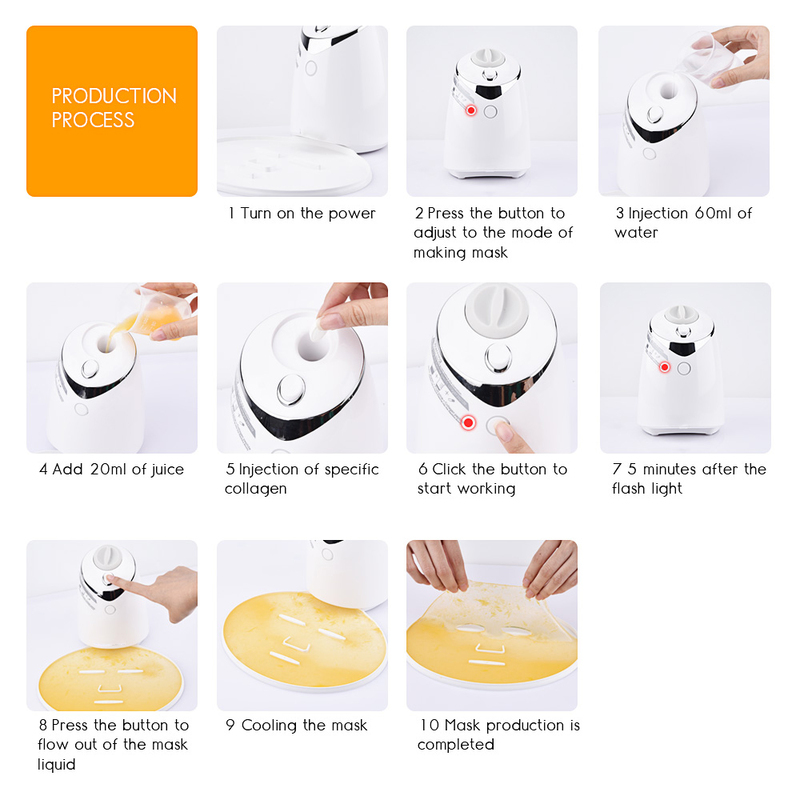 You can know clearly what to do in the process of making mask, quietly and automatically.Just Operate by pressing the button in a convenient,time-saving, energy-saving way. Most Easy, Economy and Convenient Way to do a Natural Mask at Home. Save Both Time and Money! Operating in One Key! -- Click once to start doing mask, click twice to start self-cleaning, and keep press for seconds to stop the machine. With both Indicator Light and Voice Remind! After the mask is poured out, cool for 8 minutes or put in the fridge for 30 secs. Mask temperature is lower than room temperature. Have you been troubled by huge pores, blackheads, acne and oily skin? Do you still apply those facial masks with preservatives, fluorescent brighteners, excessive levels of lead mercury or heavy metals on your face? These masks with excessive chemicals only cause harm to your face in the long term. 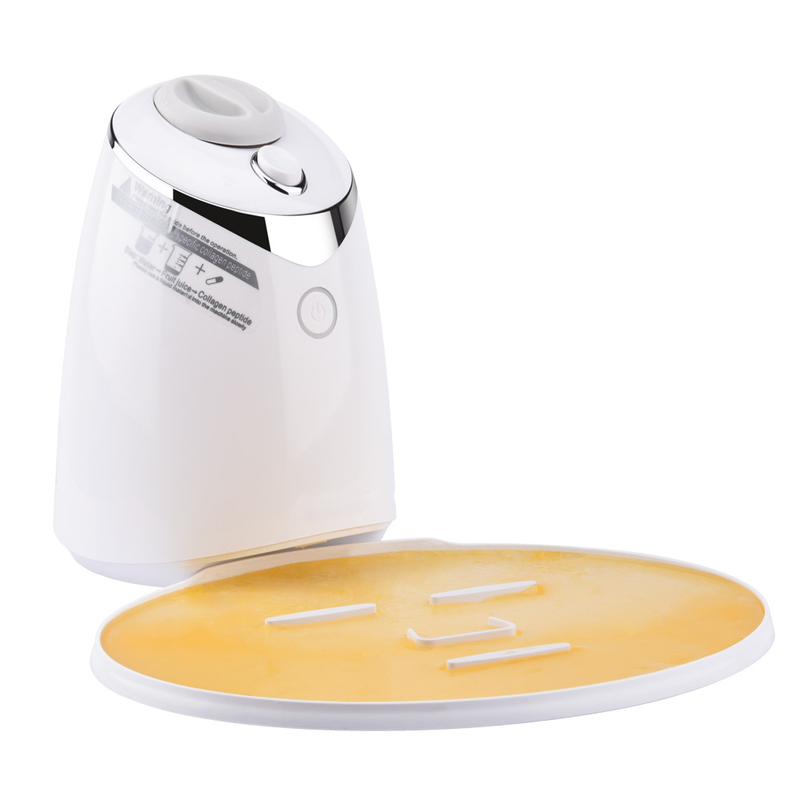 You need a facial mask machine can nourish your face without any side-effects. 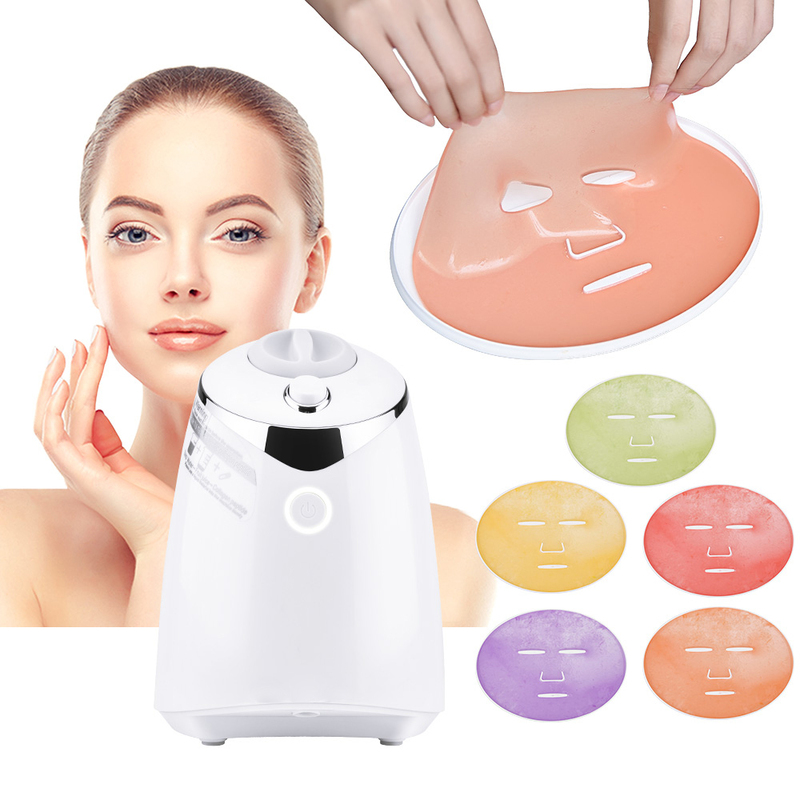 This facial mask machine offers you to create facial masks made of different natural green ingredients. For your beauty and health, we kindly suggest you to DIY your facial mask with fruits, vegetables, red wine,or milk and enjoy yourself to the max. 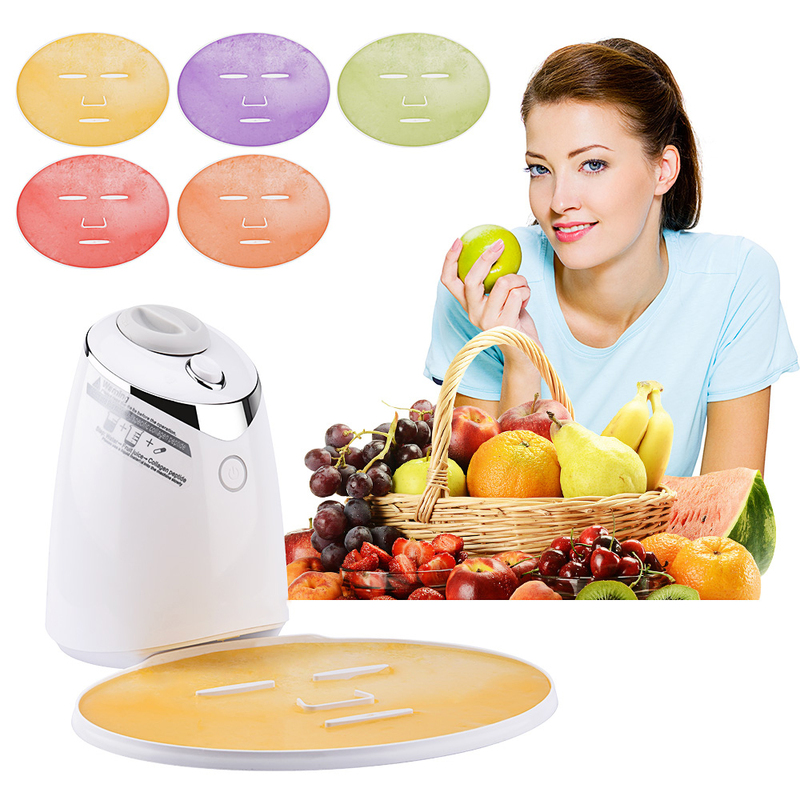 1.Natural fruit and vegetable facial mask machine, no preservatives, no lead, no mercury or other irritating substances. 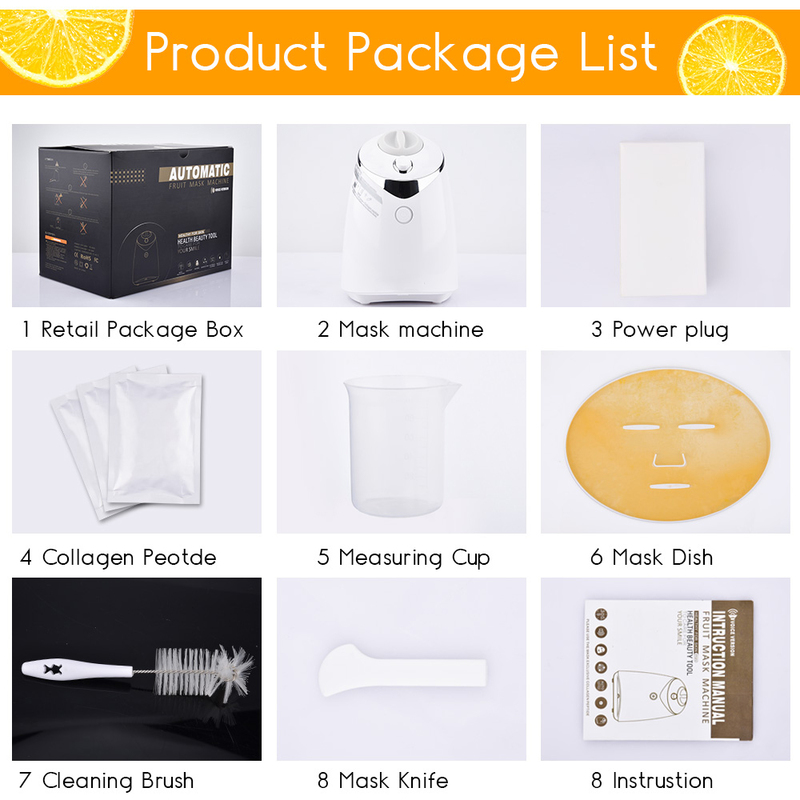 Super Safe and Healthy, absorb faster, better for skin; Private custom, making masks depend on your skin, DIY various kinds of facial mask by pouring the juice of the fruit and vegetable, or tea, milk, soybean milk, honey, beer and red wine, essential oils, herbs, flowers, eggs, etc. 3. 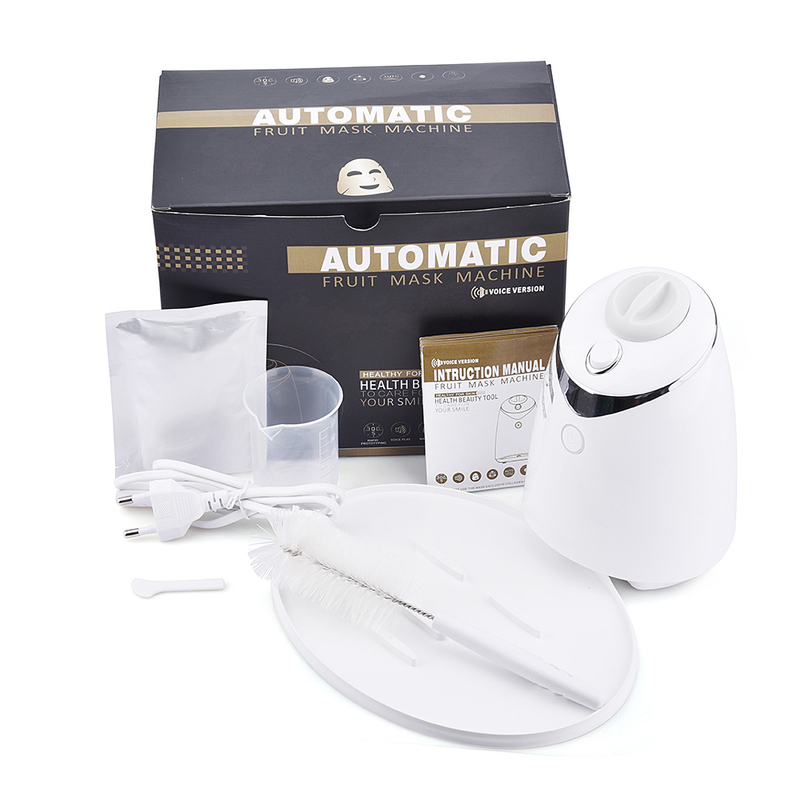 Quiet, automatic, easy to operate, only one power botton to control all the programs, Click the power button to switch or comfirm the mask making mode and the cleaning mode. Economy and convenient way to do a safe facial beauty at home. Detailed operation steps please according to the instructions. 4. Easy to clean. If you add the the same fruit, you can use continuously without cleaning the item; if not the different fruit, you can pour water to press the right button to clean it . You don’t need to open the machine or wait for water cooling off to wash it. Just Operate by pressing the button in a convenient,time-saving, energy-saving way. 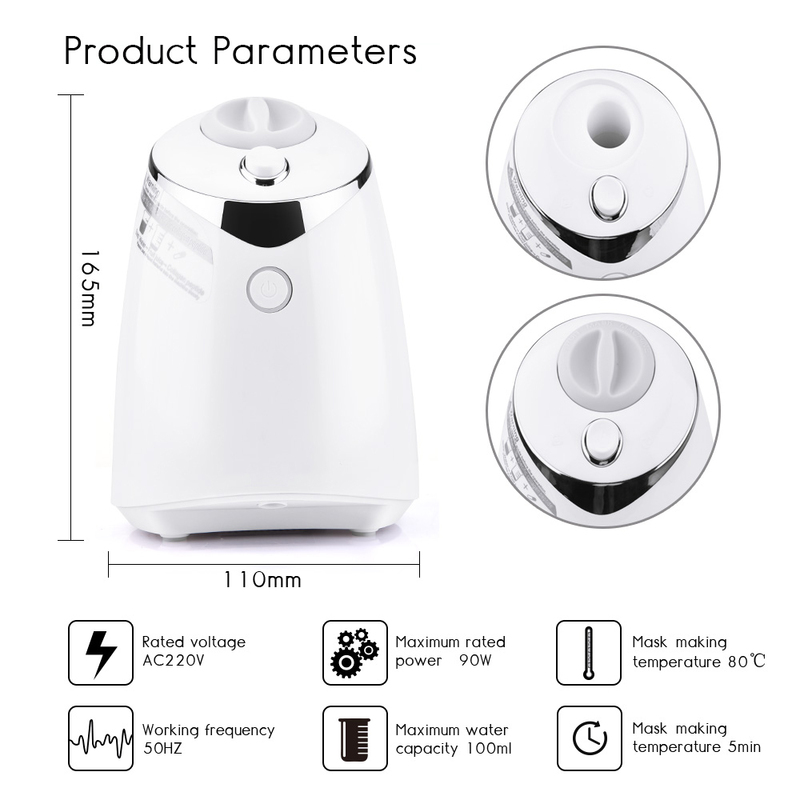 Warm Tip: Please note the product is not including the juice squeezing function, please prepare 20ml juice before making the mask, and mix the juice with the water in proportion according to the instructions.